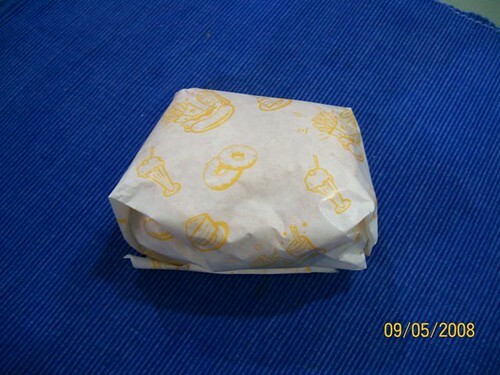 It has been a long time since I ate a Ramly burger. 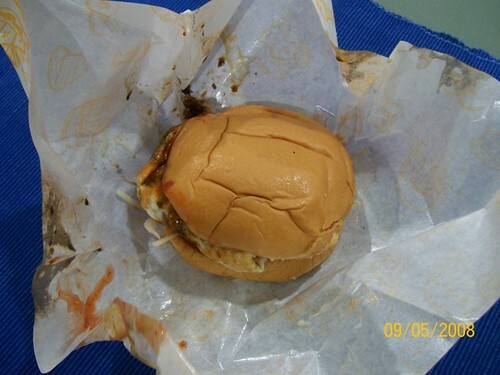 In my opinion, Ramly burger is the sloppiest burger in the world. The manner the Ramly burger is drowned in an array of sauces is just amazing. I understand Jennemede is yearning for a Ramly burger. Jennemede, thanks to you I had one amazing Ramly burger recently. Yes, it still tastes the same. Sorry I can’t send one to you as I am sure Ramly burger violates a few FDA health codes. Hopefully the photos below will reduce your urge. Cheers. Entry filed under: Food. Tags: ramly burger. Chill la, it is only a burger but it tasted as good as it looks.